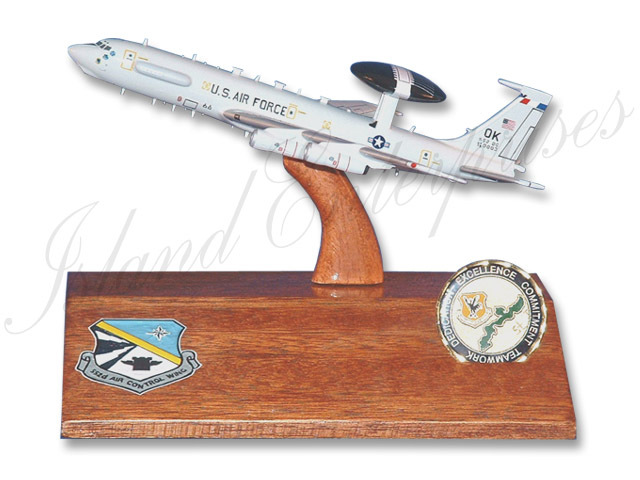 This is one or our Miniature E-3C (8" long) models on a special base, designed for quarterly and annual awards programs, going away gifts, etc. You can customize the model with your choice of any paint scheme or unit markings. You can also customize the base with your choice of carved and painted text and logos. WE OFFER NICE DISCOUNTS FOR MULTIPLE ORDERS!! !